Swedish author and business thinker Stefan Engeseth predicts that Ikea’s next move will be into the world of fashion. Mr Engeseth says that Ikea’s expertise lends itself easily to the world of apparel. ‘Fashion is an expression of how to package and sell design,’ he says. He believes that fashion is in a repetitive cycle, stuck in history and needing renewal. Ikea could offer both complete apparel items and composite parts that customers could assemble themselves, says Mr Engeseth. The parts could be “tailored” at home in inventive ways without the need for complex sewing. Jack Yan, publisher of the fashion magazine Lucire, and a branding expert in his own right, says Mr Engeseth’s ideas have a great deal of merit. For completed clothing, Mr Engeseth says that Ikea could offer Unisex dressing, without the divisions of male and female, but as an ‘Ikea member’. 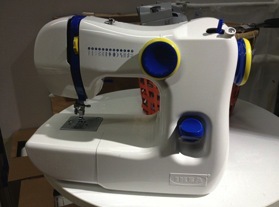 He sees Ikea clothing as being high-tech and low-cost, harder-wearing than the apparel found in mass-market retailers. ‘We’re already seeing some shoppers go to outdoor and living stores to buy longer-lasting clothing. Ikea already sells reusable Kr 4 bags that are good and cheap; their clothes could be equally practical, as strong as work clothes,’ he says. Mr Engeseth says Ikea could offer the clothing range to its fans first, so they have a “uniform”, much like football teams. Fans who have furnished their homes could host ‘Ikea days’, where dressed-up fans could invite their friends to their homes, which become pop-up fan showrooms. ‘That could give Ikea millions of stores, and greater exposure to how homes can be designed. That would bring in sales and the company could treble its profits,’ he says. 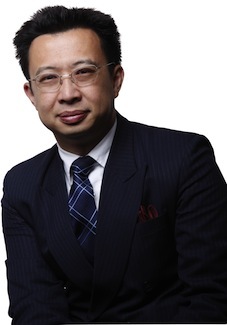 Jack Yan founded Jack Yan & Associates. Among his company’s interests are business consulting, software and media, including the fashion magazine brand Lucire. He has authored or contributed to numerous books, including Beyond Branding, Typography and Branding and Nation Branding: Country Concepts and Cases. He ran for Mayor of Wellington in 2010 and 2013. His personal site Jack Yan.